The world requires professional and effective software engineers at a growing pace, yet those who code struggle to learn how to do it well. 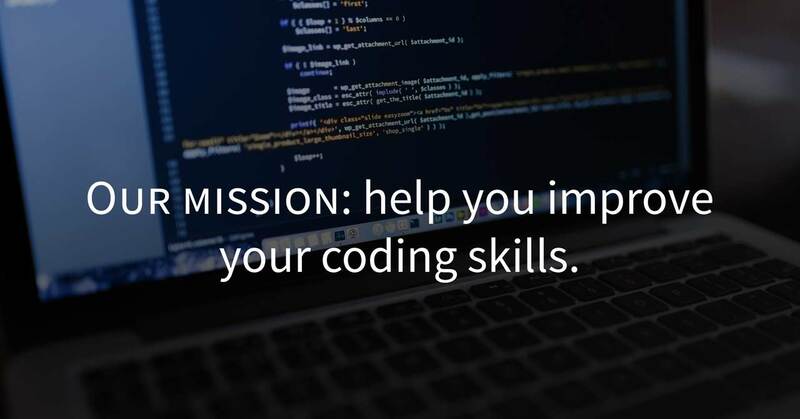 Facilitating the formation of proficient coders is our mission. Becoming a good programmer is no easy journey. Even with the help of a good IT-related course, it’s hard to acquire the multitude of knowledge and practice that makes a good programmer–there are many tools, languages, processes and higher-level concepts to be learnt. This requires years of experience and contact with multiple other good programmers. Code Energy aims to streamline this process with good written reference in many important programming topics. Software development technology updates often, and staying on top of everything is important, but difficult. Many programmers aren’t even aware of programming best practices to begin with. We’ll energise your code by giving you first hand review of top programming tools, software development methodologies, and practical ways in which computer science fundamentals are applied in every day code. We’ll provide first hard experience and contact with successful programmers. Our focus are people who already learned the basics of programming, and want to improve. We like short, light and informal writing, that you can read while relaxing. Even if you are a senior programmer, we’d love to have you onboard, helping our discussion or maybe contributing with the project. Code Energy is overseen by Wladston “Wlad” Filho, a Brazilian programmer that is passionate about sharing knowledge and helping beginners. Wlad has been programming for almost a decade, and holds bachelor’s and master’s degrees in computer science from UFMG. He loves to learn new technologies, interact with other programmers and understand how teams can effective work on a same project. His academic research is mostly focused on applied complex networks and social networks, and he loves to code while listening to electric and energetic music. We believe there is no silver bullet in software development. We believe there’s always something new to learn, and no expert should have authority over what’s right or wrong. We believe in open discussion; if you don’t agree with a specific point, leave a comment in the article to start a discussion. We do not think we are supreme experts on any matter. If you haven’t already, subscribe to our mailing list to receive news and updates about the Code Energy project. If you want to participate actively, such as writing articles, demonstrating your work or anything else that contributes to the project’s goals, please send an e-email to hi@code.energy. You can also get in touch via Twitter (@code_energy), Facebook or Instagram (@code.energy). Get our articles on software programming We don't send spam. Unsubscribe any time. This is required. Code it, and they will come… or will they?